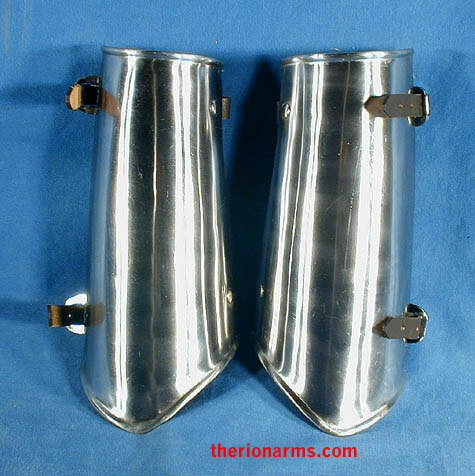 Most steel vambraces you find are simple "gutters" that strap to your forearms. 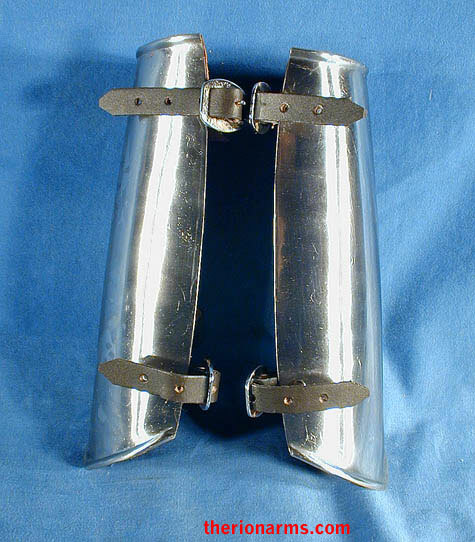 These vambraces are designed to actually fit on a human instead of a drain pipe. 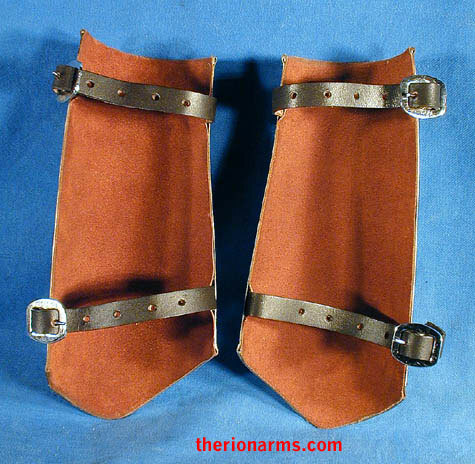 18 gauge steel, rolled cuffs, suede leather lining. 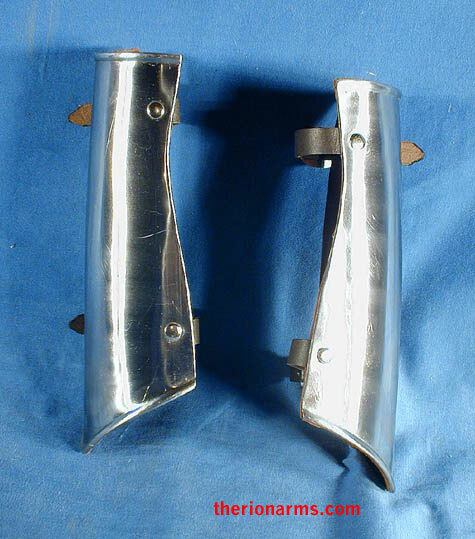 size: 9 1/4" x 6 1/4"